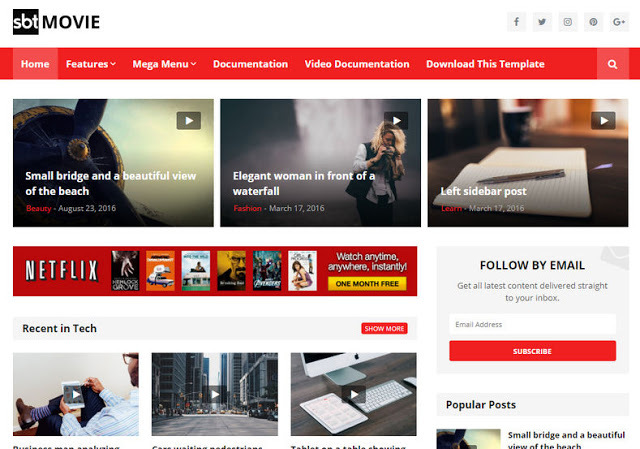 SBT Movie Blogger Template is a Responsive Free Blogger Theme best suitable for video, movie, news, magazine or blog. With powerful features for Video, it will bring a whole new experience. Your site can be a place where everyone goes to discover new movies, video games, television shows and music albums.